MoneyPenny is your painkiller. 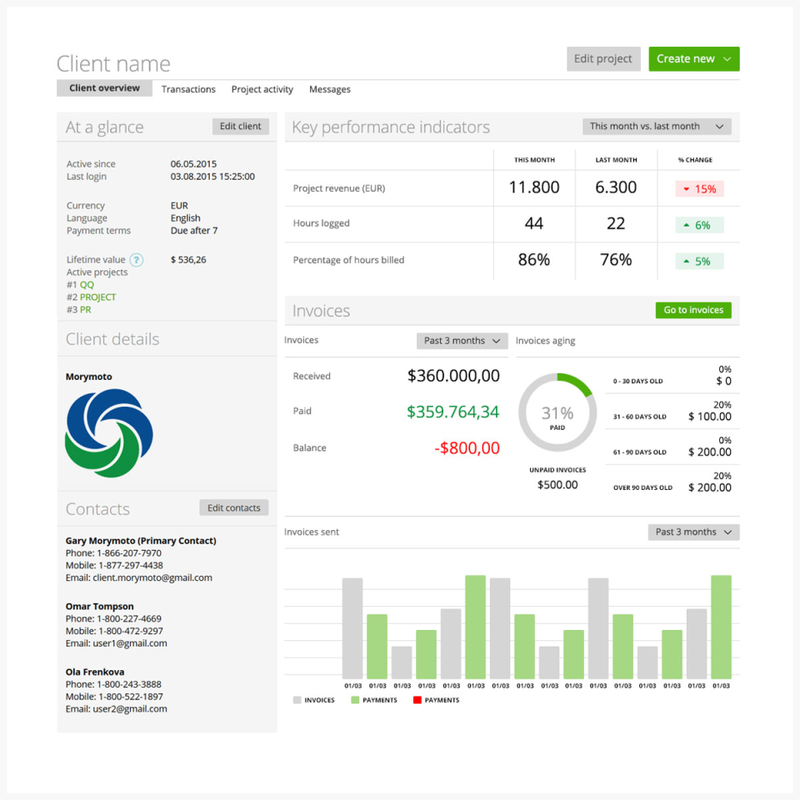 It helps you organize clients, teams, business data & projects on-the-fly. Our mission is to deliver the smartest, safest and painless cloud accounting tools, so that our clients don't waste time on tasks that are not part of their core business (such as accounting, invoicing, time tracking or financial reporting). We help them stick to what they're passionate about and easily organize their business anytime, anywhere. Pros: Clean, very modern UI that is easy to learn and customise. The very best off-the-shelf templates in the market. What is it about the Swiss? And the Germans? They really do some things VERY well. 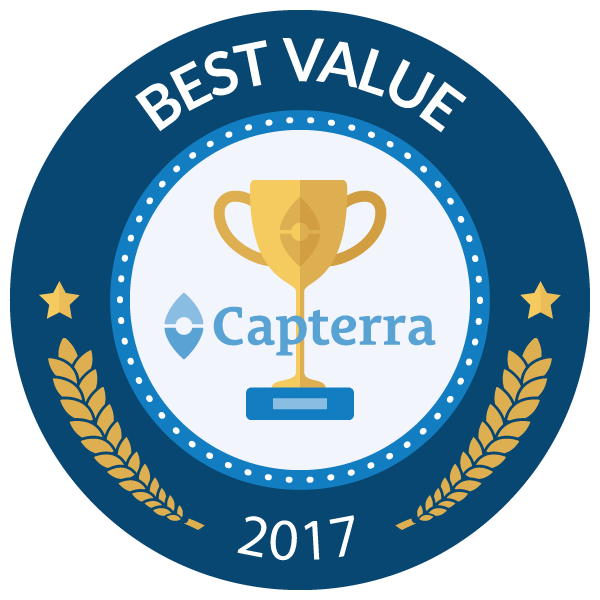 I entered into this with a very sceptical mind after a recent poor experience with a CRM trial, also reviewed here on Capterra. This really is beautiful software. Functional too, which is an area where some of the pretty apps fall down. It is very easy to learn and to customise, in particular creating stunning estimate and invoice templates. 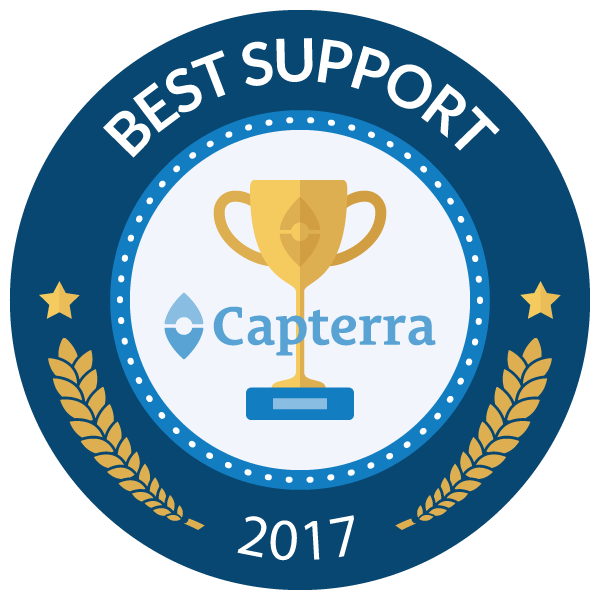 The support is world-class and very prompt. Although aimed at small teams and businesses that sell billable hours, it is more than suitable for a product based business too. I have asked for a couple of small changes to the invoicing, which the team are looking at. They are very open to feedback and suggestions, which other developers/providers have sometimes taken as negative criticism. Trial it, you will not be disappointed. 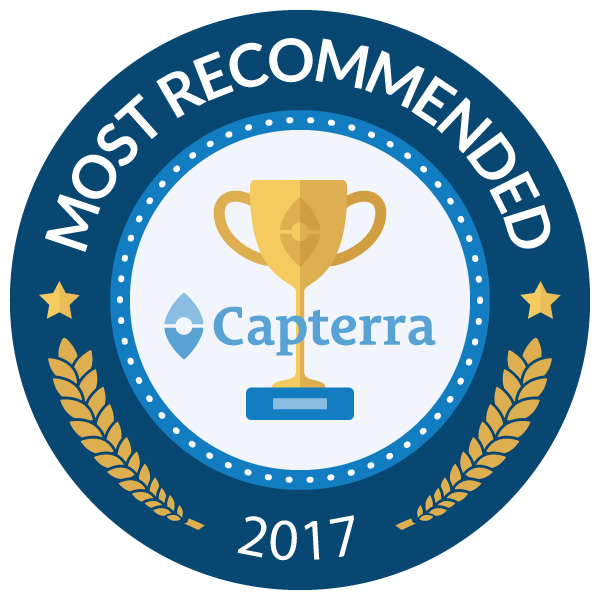 Pros: I reviewed this app here on Capterra back in June when I was approaching the end of the free 30 day trial. It was a no-brainer - I subscribed. After 4 months I moved to Quickbooks Online (QBO) because there were a couple of features missing which I was irritated by. I found myself MORE irritated by QBO and in the time that has passed the team at MoneyPenny have addressed the missing features (as previously stated, they are genuinely open to feedback) and in the newest release this week have made significant improvements to Purchase ordering and stock item reporting. As an app that has heavily focused on client businesses who sell billable hours, there is a new commitment to improving functionality and to adding features for those of us with stock based sales. A beautiful interface, best templates in the business (recently made even MORE customisable) and fantastic customer support. MoneyPenny can replace a receptionist for a small office. Pros: When we were first getting started, we used MoneyPenny to handle all the intake calls we were getting. MoneyPenny worked with us to determine what the best way to relay that information was. The clients we had at the time always said their interactions with MoneyPenny receptionists was always professional. Cons: Customers may figure out soon that your using a service for answering like MoneyPenny, because you aren't guaranteed the same person. This may be an issue if you are trying to build relationships over the phone. Cons: When I started using MoneyPenny I felt little lost in the app - because it offers so much. Overall: I use MoneyPenny for 6 month and yet I'm still thrilled! I have a small team with 11 people and since I'm using MoneyPenny everyone's more efficient in his work. With the Team Time Tracker I can now see in real time what my guys are doing and thereby everybody can work more productive. Recommendations to other buyers: If you feel lost, just contact customer service - very nice guys. Overall: We are a small comapany - 17 employees. We were looking for a software to support us with expenses. We've found Moneypenny and it came up to be the best software ever! Expense tracking of course, but invoicing, payment reminders and team time tracking are amazing! This is the only software we use at the moment form contacting and estimating clients to invoicing and accounting. What I don't like: in my area of IT-business traditionally customers use daily-rate for contract workers, and there is no such feature in MoneyPenny (on the other hand I could not find any other decent similar service with such o feature). Without it the invoicing process becomes clumsy. However if the customer accepts hourly rate everything works fine. Pros: It offers an efficient and professional virtual receptionist center. The customer service is quick to answer the concerns of their clients, while at the same time very friendly. Cons: It is a bit hectic to set up. Besides the company does not send regular updates to its customers on the amount of money they deducted from the client's debit or credit card. Overall: The company is professional and could help a business achieve more in terms of facilitating the communication between an entity and their clients or another business. Hands down the BEST Software in the market for Freelance Designers! Pros: Ease of use, functionality and customer support. Overall: I've been using MoneyPenny for over 6 Months now and it's easily the best software for Freelance Designers. It's everything you require for your business and more. It's very affordable, easy to use and the support from MoneyPenny is prompt and always helpful. From what I've gathered as well, they're always working hard to improve their product and taking on board feedback from it's users. I can't recommend MoneyPenny enough!! Recommendations to other buyers: Easily the best Software for Freelance Designers! Best value for money for freelancers! Comments: Freelancing is great...until you have to deal with invoices, several clients, expenses, reports and taxes. Each month I had to spend at least a few days to sort things out. MoneyPenny automates everything so I no longer need multiple spreadsheets, user names, passwords, time-trackers or multiple apps I was using before. All the features I need are nicely put together on my MoneyPenny Dashboard. It's exactly what I needed. One user name. One platform. That's it! I love the fact that they have helpful hints everywhere, so you immediately find answers to whatever it is you don't manage to do. It's pretty straightforward and user friendly. They make accounting seem easy, and frankly, that's a big plus. I subscribed for their free trial and I was a bit skeptical at first. Then I realized it's perfect for me. I recommended to friends (freelancers just like me) and so far they're happy with their accounts as well. $15/month is a great value for money considering you don't have to put up with all the wasted time and frustration related to bills, late payments, tracking tasks, time, expenses, well overall project management. Overall: It is an an absolutly usefull app, quite easy to handle and it makes really fun to work with! It safes time and money. The features are even helpfull in daily work. Pros: It is SO convenient to be able to access detailed expense reports, invoices, and time-sheets from any device rather than just a work computer. This means I can access these from anywhere I need to. On my days off when I need to check on something I can simply pull up whatever I need to view at home instead of having to run to the office. Cons: I honestly don't have any dislikes concerning this software as of yet. Overall: This app has been tremendously convenient. I hope to see more innovations from this brand in the future! Overall: I Love the Time Tracking Feature. I can easily see what my team's doing and can focus in the Important things. As an artist papaerwork is really a huge hassle for me. Overall: I'm using the time tracking features on a daily base. At the end of the month it's so easy to convert the time into invoices. It saves me a full day compared to my previous system with with Excel and Word. Overall: Simple, intuitive and easy to use. Moneypenny is great! 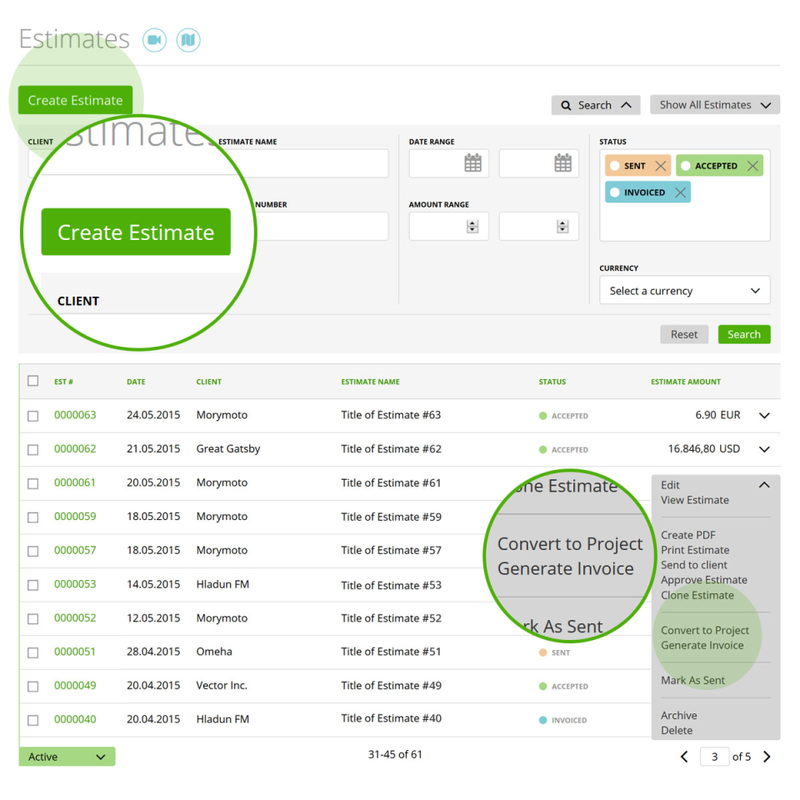 You can add as many clients as you wish, track time for each project, issue invoices, add expanses. 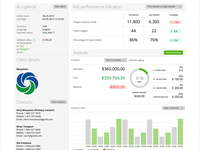 You get access to all the business data in 1 place. Comments: I working now since 5 months with MoneyPenny as a Project Manager and my team is tracking time via MoneyPenny. It is exactly what I need to have an overview about the project performance. I still wish to have a trello integration. Comments: I started to use Moneypenny few months ago, on the beginning quite sceptic since I was wondering if there's anything more to be offered after zoho, freshbook and free agent apps for invoicing. 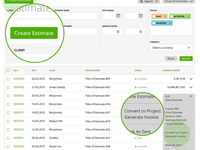 I was looking for a tool which will become almost like a 1 stop shop for all my work related to estimating and quoting the work and tasks, time tracking and then finally managing the invoices. Moneypenny appeared to be good choice. I actually invited another people to my account which makes the whole customer relationship easier, because they can make their own estimates and prepare initial quotes too. I'm based in Poland and was impressed about the speed their customer services replied on my question related to the service payment. I will keep using it I found they also have mobile app which has the expenses tracking feature, from there it's just a simple click to make bill image and then upload to the app. Quite convinient indeed. Comments: For sure MoneyPenny is the best team time tracker available on polish market. Seeing in real time who is working on what task, who is away is awesome. And also the ease of generating multilanguage invoices is great. Comments: MoneyPenny is a great business tool which helps me to stay organized. Don't make me think about payment reminders or invoicing clients fast and with online Payment. Pros: Although the product offers a lot of functionality, the designers managed to keep the UI very simple and lightweight. The user experience is very pleasant and intuitive. In terms of functionality reporting hours and invoicing is a breeze and saves a lot of time. Cons: German texts are not always 100% correct. The cockpit could be further extended. .
Pros: The best thing about money penny is that it lets you track each and every second on different projects. This helps to understand the effort leakage, boost team productivity and billing the clients accordingly. Cons: Each segment or module of the tool can have an "i" symbol which explains the usage of that particular field. 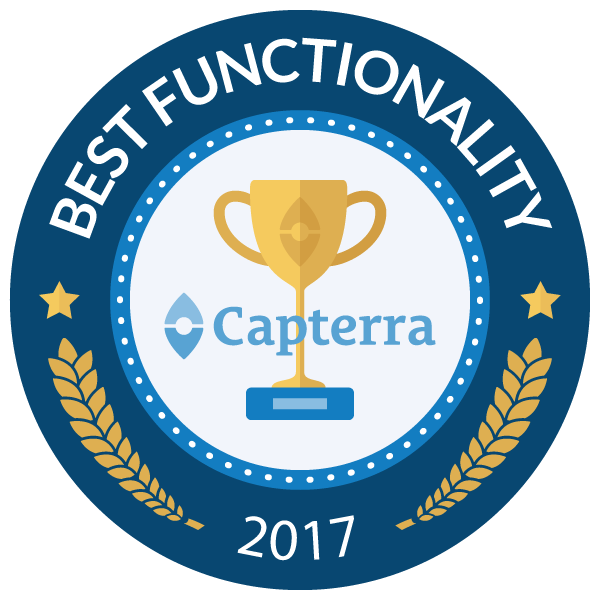 Overall: We are able to build more efficient team and provide feedback to individuals according to the time spent on various activities. Money Penny has also helped us determine the areas or processes to be automated which doesn't need much human intervention. Pros: Well we need a answering service especially for West Coast hours. I prefer one that can sound more professional. Cons: Not sure to early to tell to be honest I think. Overall: have used Moneypenny for over 2 years and always found their service up to standard and their product invaluable tothe business. Pros: Customer Support is great and fast. All tools work in perfect harmony (App and WebApp). Everything very well thought. Many things to adjust like letterheads or different types of invoice design. And if you don´t like the suggested ones you simply adjust it. Love the idea to give customers access to their own cloud where to see invoice status. Overall: Super invoicing in many languages and many and many currencies. As a freelancer I cooperate with many clients all over the world. Moneypenny helps me to issue invoices in different languages and pick up the currency. Comments: Compared to many other Application, MoneyPenny has been so much easier to figure out and use on a regular basis. So many are so complicated but this was a much less aggravating experience! Comments: I using it since few months for some of our difficult projects to track time and efficiency. It's so helpful and easy to use. 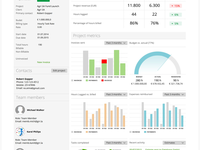 We are 145 users who are tracking project time on 8 complex projects. CS is very helpful and responsive. Overall: MoneyPenny.me has been a great fit for our small consulting firm. The website is easy to use and the mobile app makes time entry quick and painless. Setup was simple and onboarding our team was effortless. In fact, we never had to provide any training on how to use them because the interface is so intuitive. MoneyPenny.me may not have as many features as some of the alternatives out there, but 90% of what you need most is there and thoughtful new features are added frequently and customer support has been amazing. Overall: I'm a freelance auditor and track my time and expenses with Moneypenny. I also invoice my clients with it. All features are easy to use and cover my requirements. Some of my client would like to receive invoices based on daily rates which is not possible with time tracking. 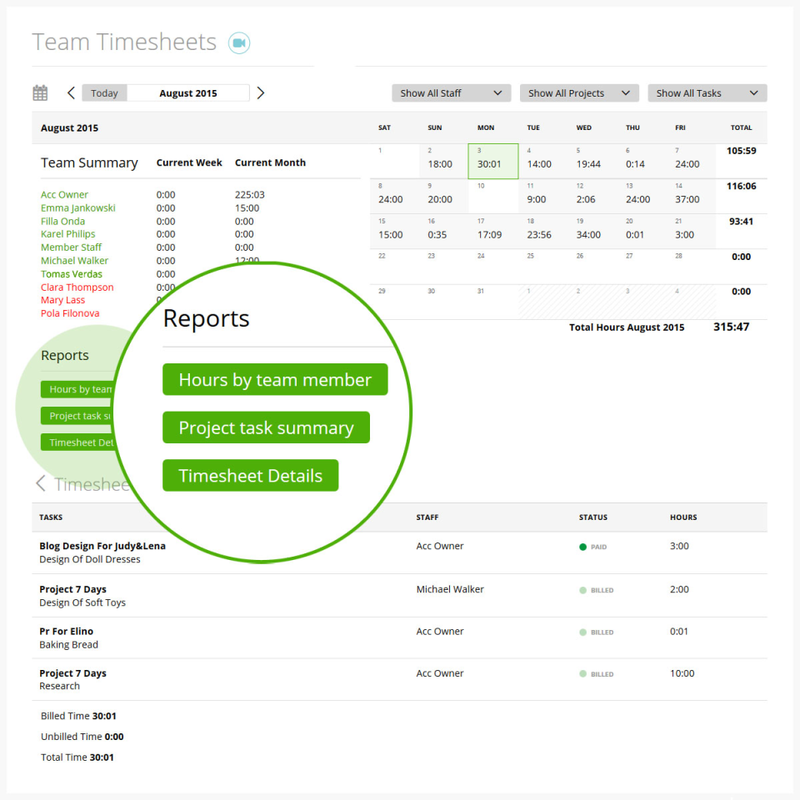 Pros: The complete process for invoicing time and material for teams and persons. I've reduced invoicing from 2 hours to 10 min. Cons: I miss some functions, which could reduce processing-time, like discount per invoice position and adding travel cost's in an invoice as rate not as time. User-friendly billing software - Great product. Great Service. Comments: To switch from our old accounting program to MoneyPenny has proven to save us a lot of time over the last months. We now can access it from anywhere and easily keep track of our projects while being on the field. The combination of software and mobile-app works flawless and allows my workers to track their times with their smartphones. Their customer service is excellent, especially while we were getting used to the product they were very supportive. Overall, I'm very content with the application and glad that we have taken the step to cloud-accounting. Pros: Easy to use, beautiful and great features. Overall: This software helps me a lot. I really like that you can see when your invoices are viewed, whether they have been paid or not. Furthermore, I am reminded whenever something is due. I love these features. Glad I came across the application. Cons: At first, the amount of options that are offered may be intimidating; In my opinion maybe it would help that they divided the user experience into a section for beginners and another for experts. Comments: MoenyPenny helps me and my team to master our project in a high competitive Market. The Project set up, -tracking and the slack integration helps us to being top rated by out customers. The team likes how easy it is to work with MoneyPenny compared to other ones we used before. will upgrade as I get more staff. The price-performance ratio is good. It contains many functions and updates are released every month. 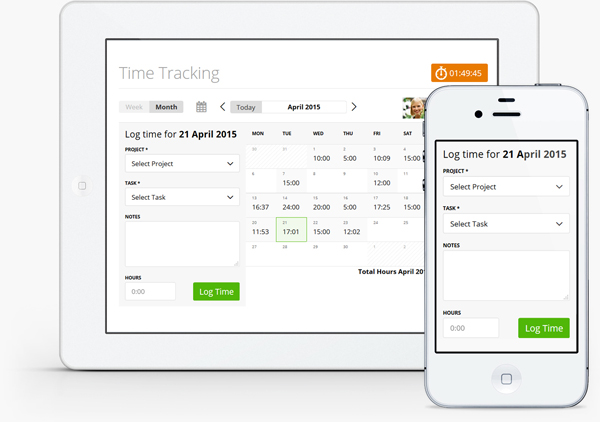 Must try Time Tracking software! Comments: I love MoneyPenny since it saves me so much time and nerves per week. There are many Time Tracking apps out there but just a few are really able to track Projects efficiently. You leaving money on the street if you don't do a free trail. believe me you will love it. 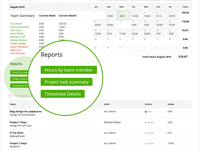 Overall: MoneyPenny is a fantastic tool to track time and efficiency for teams. I absolutely love the Team Time Tracking function where I'm able to see my team tasks performance in real time. Overall: We are using moneypenny for almost 6 months. The whole team is using online time tracker - and this made our timesheets caluclations very straightforward. Overall: Moneypenny is best for remote teams. We are a group of freelancers based in different countries in the world. 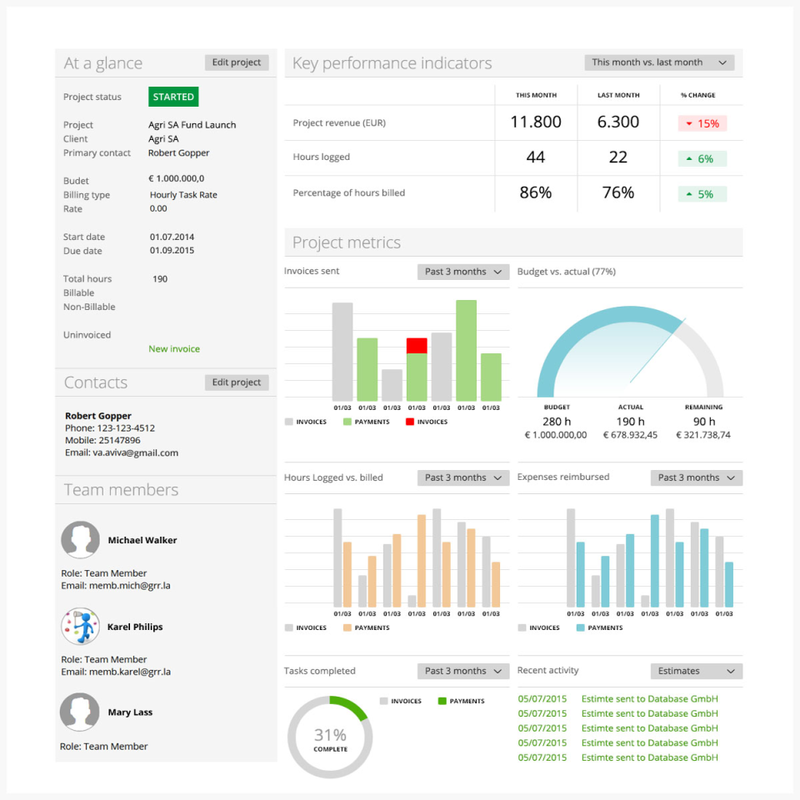 Having a software with team time and project tracking is a must. Moneypenny works great for us. Comments: As a freelancer working from Russia primarily for the clients abroad I personally like the multi-lingual UI and functionality that allows to issue invoices in different languages and currency as well as create templates and email these directly from the software, so I'm using MoneyPenny to invoice my clients and keep track of the contracts running and time logged in for them. Data visualisation comes as a very nice bonus here at least for me. Worth a try. Comments: I've tried several ways to manage my accounting so I decided to try MoneyPenny - they have a free 30-day trial, so why not? I added some projects I'm working on right now, tried the invoices, estimates and I see they allow you to invite your tax consultant to do the taxes for you, which is fantastic. My favorite part has to be the auto-reminders you can setup for the invoices. Now I don't have to waste time chasing payments. MoneyPenny does it for me. Overall: Moneypenny is awesome. We had some issues to set up one project properly. The customer support contacted us within 1 hour and helped us with configuration. Comments: Since I was using to MoneyPenny (which was very easy) my paperwork needs much less time now. It helps me a lot to monitor my cashflow and I can create very easy and very fast professional invoices and expenses. Furthermore, I can manage my projects and track my time super easy. And I love the uncluttered user interface which makes it efficient. All in all, I'm very happy with MoneyPenny and I'd recommend it to every freelancer out there! Comments: I worked 5 years now with some other tools and EXCEL. That gives me frustration over frustrations especially when I need to sum up tasks. Comments: We tried hundreds of other time tracking applications, from stationary to cloud based ones. 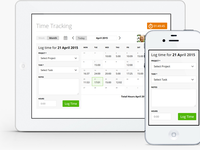 MoneyPenny it the smarts and easiest to use Time Tracking. Comments: I was trying to find an alternative to Freshbooks and I found it. MoneyPenny is great. As a freelancer I can now control all the invoices automaticly, send estimates for new clients and control the payments with automatic recurring. I also have a time tracking system. Comments: MoneyPenny has already saved a lot of my time. This smart app helps me to organize my digital workflow and online accounting. MoneyPenny became my personal vital assistant. So my favorite feature is expense tracking. All my receipts are where they should be & also can be exported in different formats. I recommend to try MoneyPenny free trial. And I promise you couldn't leave it. Comments: I love this program. Have been using it for our CPA firm for the last 2 months and it is very easy to use. Billing and collecting from clients is really easy. The only problem i have found is that there is no easy way to apply prepayments to a specific client. Payments can only be applied to invoices which is not ideal. Comments: It took me a couple of hours to find my way through the application but now I really like working with it. The tools are easy to use and surely a more convenient solution compared to my previous invoices I made with Excel/Word. Now it takes me less than a minute to create and invoice my clients. Very happy with this product so far.